Air Marshal VR Chaudhari AVSM VM was commissioned into Fighter Stream of the IAF on December 29, 1982. He is an alumni of the National Defence Academy. The Air Officer has flown various aircraft and is experienced on MiG-21, MiG-23MF, MiG-29 and SU-30MKI with a flying experience over 3800 hrs. He is a Cat A Qualified Flying Instructor, a graduate of the Defence Services Staff College and an Instrument Rating Instructor and Examiner. 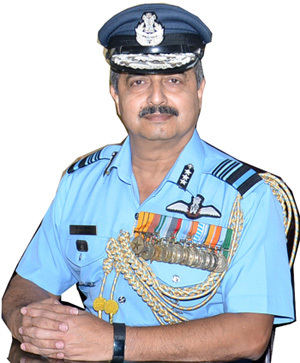 The Air Marshal has a rich experience of operational flying, having undertaken numerous Air Defence missions during Op-Meghdoot and Op-Safed Sagar. The Air Officer has been an Air Force Examiner on several types of fighter and trainer aircraft. He commanded a MiG-29 Squadron and served as the Chief Operations Officer of Air Force Station Srinagar. He commanded a forward base before taking over as Air I at HQ CAC IAF. He has been an Instructor at DSSC Wellington as well as DSCSC at Zambia. He served as the AA to the CAS and later commanded Air Force Station Pune. On promotion to AVM, he tenanted the appointment of Deputy Commandant Air Force Academy and as ACAS Ops (Air Defence). Before taking over as Deputy Chief of the Air Staff he was the Assistant Chief of Air Staff (Personnel Officers). 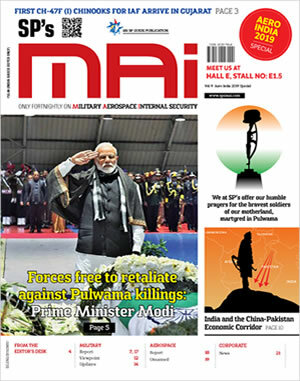 The Air Officer is married to Mrs. Neeta Chaudhari, a home maker. They are blessed with two sons.